There could well be as many opinions as to what constitutes a true classic or traditional boat as there are owners of these often highly individual craft! 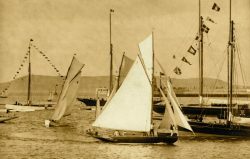 As part of the celebration of the Bicentenary of Dún Laoghaire Harbour – where the first stone was officially laid by the Viceroy of Ireland on 31st May 1817 – the Volvo Dún Laoghaire Regatta 2017 will be including a Classics, Traditional and Old Gaffers Association section. 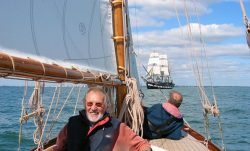 This will, in addition to putting extra emphasis on older classes already regularly involved (such as the Glens, the Dublin Bay Mermaids, the Howth 17 Footers, the IDRA 14s and the Water Wags), be extending a welcome to older boats of other types, and to classic classes from Ireland and around the Irish Sea. There could well be as many opinions as to what constitutes a true classic or traditional boat as there are owners of these often highly individual craft. As part of the celebration of the Bicentenary of Dun Laoghaire Harbour – where the first stone was officially laid by the Viceroy on 31st May 1817 – the organisers of the Volvo Dun Laoghaire Regatta 2017 (it’s from July 6th to 9th) will be including a Classics, Traditional and Old Gaffer section. 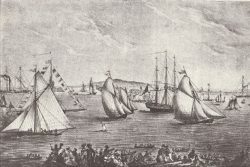 The notion that the Volvo Dun Laoghaire Regatta 2017 from July 6th to 9th should include a significant Classics and Old Gaffers element to mark the Bicentenary of this great harbour surfaced only relatively recently. 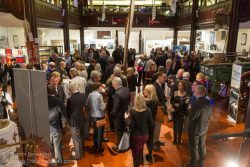 Yet this week a high-powered sub-committee was bursting with ideas when it held its first meeting and firmed the concept in place.